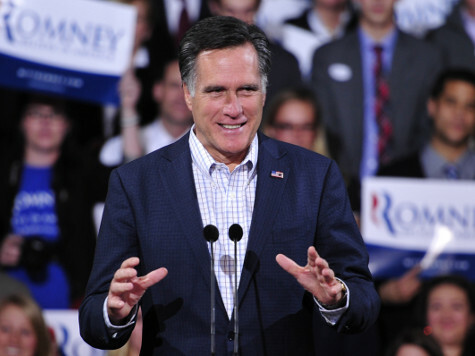 Rumor Mill: Will Mitt Romney Really Run Again in 2016? Stoked by a few recent media appearances and a proposed reunion dinner with his 2012 campaign staff, the rumor mill is wondering if Mitt Romney may try for another run for the White House. Romney has been making the media rounds, appearing on twelve shows in the last six months. That, along with the recent news that Romney had planned a get-together for his 2012 campaign staff in Park City, Utah, was enough to get tongues wagging. Romney has been a natural for TV news programs in light of Obama’s total foreign policy failure with Russia and Vladimir Putin. Romney famously noted during the 2012 campaign that Obama’s Russian policy was a bad one. More recently, he wrote a sort of “See, I told you so” editorial for The Wall Street Journal. But Romney has repeatedly said that he absolutely will not run for president again. This is in contrast to previous election cycles where he demurred from a “yes” or “no” answer until he made a firm decision. Two years out, he continues to firmly say that he will not run. One suspects that with Romney, “no” likely means just that. Still, the tongues continue to wag about a 2016 Romney run. In fact, when his WSJ piece came out, Time magazine political analyst Mark Halperin immediately tweeted that the article may be a harbinger of a 2016 run. Even the National Journal says that Romney is the 2016 front runner. Perhaps all these left-wing journalists are just indulging in wishful thinking. Romney has already lost twice. They likely feel he is an easy fall guy for Hillary 2016. But not everyone assumes he’ll run. If Romney were to throw his hat in the ring for the GOP nomination for president yet again, this would make his third consecutive run for the White House. No candidate has ever won the presidency on a serious bid made after a second candidacy loss. Two candidates made serious runs for the presidency three times in a row without winning: William Jennings Bryan (Democrat) and Henry Clay (Whig). Many have run once and lost, then run a second time and won. Only one president won on his first bid, lost his second, but subsequently won after a third campaign: Grover Cleveland. Franklin Delano Roosevelt ran for vice president and lost before running for president and winning. Some even won the vice presidency but lost their bid for the top seat: Breckinridge, Nixon, Humphrey, Mondale, even Teddy Roosevelt to a degree. But no candidate has become president on his third try after losing two consecutive bids. How likely is it, therefore, that Mitt Romney will try for a third run in a row a la William Jennings Bryan or Henry Clay? One would think the odds are not good.